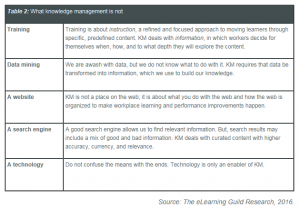 The concept of knowledge management (KM), defined as “a collection of best practices and technologies that provides ways to capture, use, and share information” is not new, and for some it has a negative legacy. But the challenges that call for a KM solution have not gone away; in fact, they have intensified. So it is important to take a look at KM again, with fresh eyes. One of the many valuable aspects of this article is this “fresh” look at what KM is (Table 1), and what it is not (Table 2). Understanding that critical difference is essential to moving forward with KM insights and solutions. 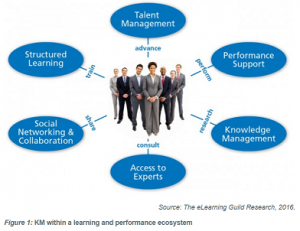 KM augments training, changing its role in each organization’s overarching learning strategy. The relationship between training and KM is an essential element within the learning and performance ecosystem, as shown below in Figure 1. The KM component of the ecosystem enables people to access needed content while working. From a workers’ perspective, the goal is to successfully research a topic and get answers quickly. From an organization’s perspective, the goal is to provide easy and reliable access to information. NOTE: As defined by our authors, a learning and performance ecosystem enhances individual and organizational effectiveness by connecting people and supporting them with a broad range of content, processes, and technologies to drive performance. For more information on this important topic, see Learning and Performance Ecosystems: Strategy, Technology, Impact, and Challenges—also by Marc Rosenberg and Steve Foreman—for more about learning and performance ecosystems. 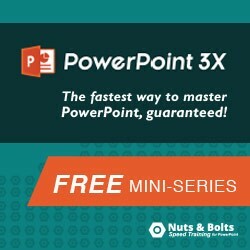 Source: The eLearning Guild Research, 2016. 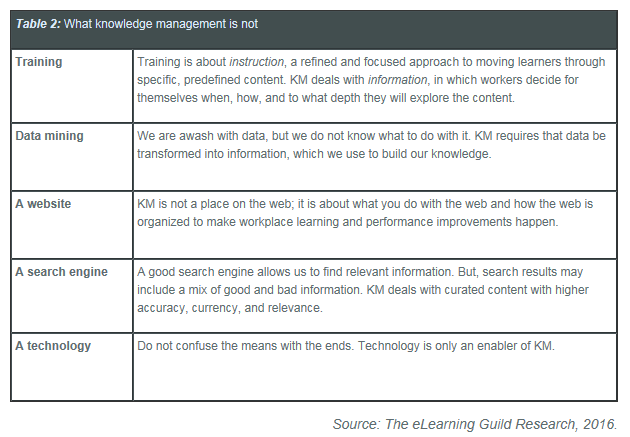 One final point: You can get actively involved with these KM principles and insights by using the Organizational Knowledge Needs Assessment in the white paper. 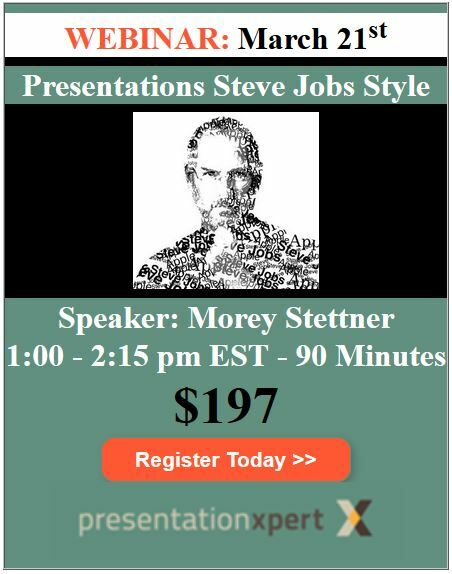 The assessment will help you determine which of the 14 problematic telltale signs that it describes is also present in your organization. If you can identify more than one of these signs, the authors recommend that you discuss the situation with your stakeholders and determine the most critical challenge(s). The assessment process and findings will help you prioritize and focus your organization’s KM work on the areas of greatest urgency and payoff.